Typically launching an online store does not require anything complicated. All you need is a price list, a domain for a website and a hosting. After that you only have to choose the CMS and deploy it on hosting. AFCommerce is one of popular CMS customized for an online store. It provides not only basic functions but also can extend its available functions through plugins. Online stores are trying to provide more information about the products, including product pictures. But the abundance of graphic images may hinder the operation of the website — the pages will load slowly and visitors may be displeased with it and leave for competitors. Website image optimization in AFCommerce can help solve the problem. Automating the process of processing images with standard CMS means is impossible. The developers simply did not provide this opportunity. But uploading a plugin for image optimization in AFCommerce will be a great solution of theproblem. Image optimization in AFCommerce is performed by OptiPic. The development allows reducing the size of pictures in average by 70% and increasing the page loading speed by 2-3 times. Optimization of images in AFCommerce requires no special knowledge or skills. It is sufficient to pre-configure the plugin and OptiPic will work in the background. How does the image compression work in AFCommerce? Plugin for image compression AFCommerce is searching for images on the website. To do so, the server folders are scanned for files with the PNG and JPG extension. After that OptiPic analyzes the image code. The code itself is divided into several types. First, is the location of the pixels and their color. Second, the technical information like the characteristics of the shooting or geographical coordinates. Image compression in AFCommerce is about removing the technical information. This way it is possible to significantly reduce the size of the image and speed up its loading. It should be mentioned that the compression of images in AFCommerce has helped many online stores to regain customers, by quickly uploading their webpages with the product description. How can optimizing images for AFCommerce speed up a site? 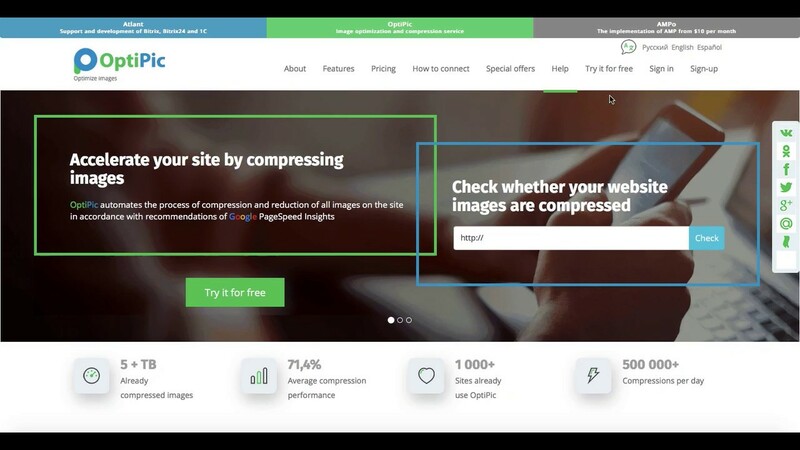 How to get started with OptiPic service for AFCommerce for image compression?